With just more than half of its land area covered by the tropics, the state of Queensland is truly where the rainforest meets the reef. Home to two world heritage areas, Queensland’s ‘far north’ covers the portion of Queensland, north from Cairns, as far as Torres Strait Island. Tropical Queensland is user-friendly for visitors, providing ample opportunities for relaxation and adventure – often in the same day. Coastal roads afford stunning scenic views, as well as plentiful infrastructure for the road traveller. 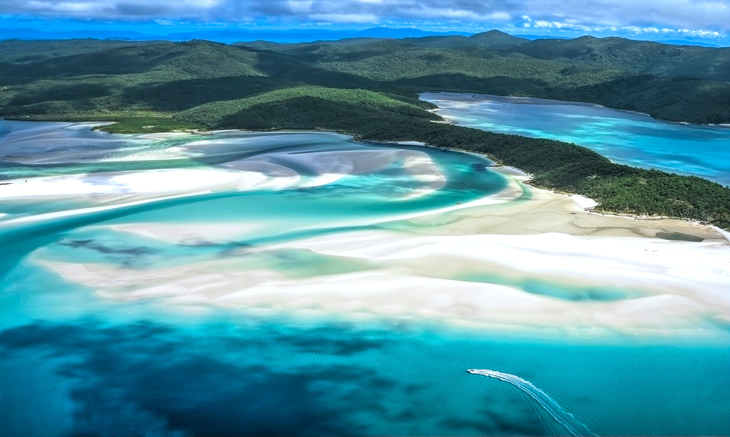 One of Australia’s most loved and most photographed beaches, seven-kilometre-long Whitehaven Beach on Whitsunday Island boasts some of the cleanest and purest white sands in the world. The largest of the 74 islands in the Whitsundays group, Whitsunday Island is a frequent stop on day tour itineraries, but additionally offers the opportunity for National Park camping. Located right in the heart of the Great Barrier Reef, Whitsunday Island is easily accessed from both Hamilton Island and Airlie Beach. Composed of 98% silica, the soft sand on Whitehaven Beach doesn’t retain heat and literally ‘shimmers’ in the sun. The swirling turquoise and teal colours of the waters of Hill Inlet on the north end of Whitehaven Beach are best viewed from the Tongue Point lookout, just a short bush walk away. The hub of the Whitsundays group and also its most populated isle, Hamilton Island is the home of the region’s airport and serves as a ferry arrival point for many visitors to the surrounding Great Barrier Reef. In addition to beautiful beaches and plentiful water sports activities, sophisticated, yet laidback Hamilton boasts top-notch eateries and drinking establishments, as well as regular cultural performances and exhibitions. As the most developed of the 74 Whitsunday islands, Hamilton contains both the Hamilton Island Yacht Club and the Hamilton Island Golf Club, the country’s only 18-hole championship course on its own island. 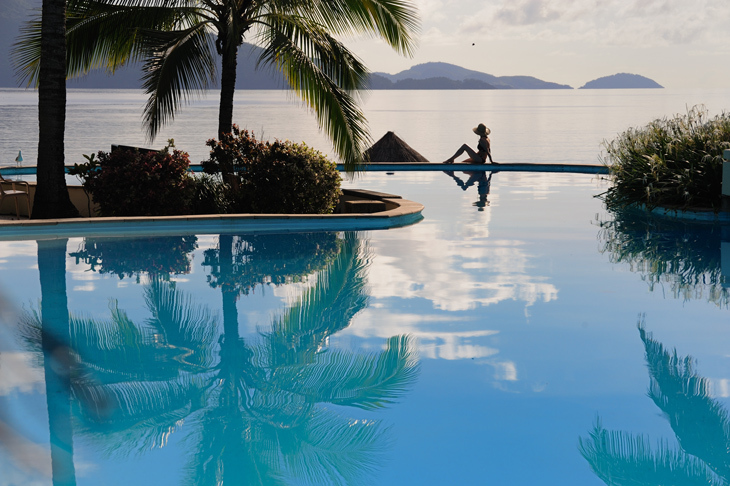 Active pursuits on Hamilton Island include walking trails, go-kart racing, sea-kayaking, and game fishing; relaxing favourites include massage and spa treatments, as well as browsing island boutiques. Transportation on Hamilton is often by way of golf buggies and tours are readily available to see close up koalas, kangaroos, wallabies, and kookaburras. Covering a five hundred kilometre stretch of the coast between Townsville and Cooktown and paralleling the Great Barrier Reef, Queensland’s ‘Wet Tropics’ region contains the world’s oldest rainforests that once covered all of Australia. Today this biologically diverse ecosystem is protected through over thirty National Parks and a World Heritage listing. As a rainforest, the Wet Tropics receive over a metre of rain per year, making for abundant waterfalls within the Atherton Tablelands – the country’s highest is Wallaman Falls with a single drop of 268 metres. 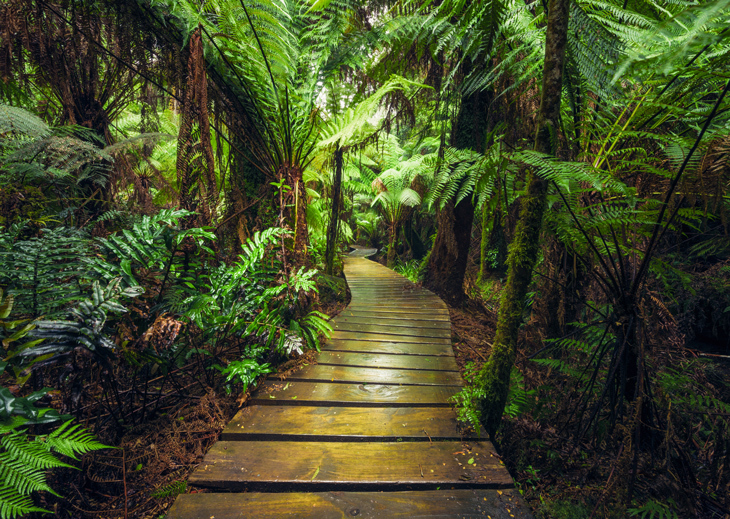 Favourite visitor spots in the Queensland rainforest include Daintree National Park – home to Mossman Gorge and Cape Tribulation, where the ‘forests meet the sea’, the Kuranda Skyrail Cableway, and Scenic Railway at Barron Gorge. 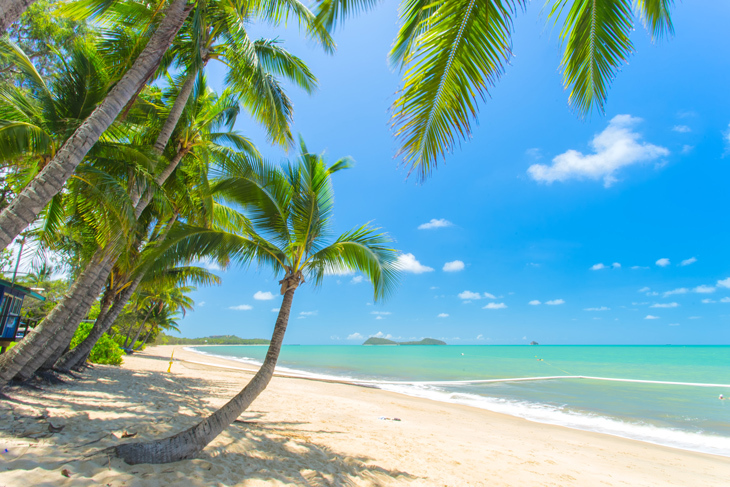 A serene suburb, situated 22 miles north of adventurous, yet laidback Cairns, palm-lined Clifton Beach offers a quiet ‘local’ seaside scene with none of the high rises you might find elsewhere on the coast of Queensland. Conveniently close as well to the many ‘reef and rainforest’ attractions near Port Douglas, Clifton Beach is an ideal place to enjoy activities, such as fishing, snorkeling, scuba diving, golf, tennis, and whitewater rafting. Clifton adjoins on either side the sophisticated resort communities of Palm Cove and Kewarra Beach, making for an uninterrupted six-kilometre stretch of sand and easy access to numerous eateries, spas, and shopping opportunities. The largest structure on earth created by living creatures, Queensland’s Great Barrier Reef is an original and obvious inclusion within the Seven Natural Wonders of the World. Larger than the states of Victoria and Tasmania combined, the 2,300-km-long reef is visible from space and is composed of 3,000 individual reef systems. 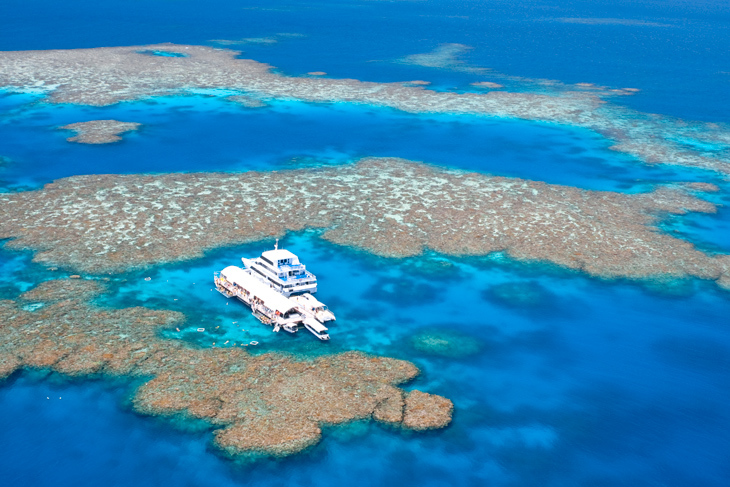 Discovered by oceanic explorer Captain Cook in 1770, when he ran aground on its corals, the Great Barrier Reef is relatively young – its modern form being about 8,000 years old. The reef contains 900 islands and is home to over 1,500 species of fish – ten percent of the world’s fish species. Popular activities within the Great Barrier Reef include snorkeling and scuba diving, but also sailing, sea kayaking, and fishing.